*Free Cerakote not available on AR 9mm or AR 45ACP barrels. The Free Cerakote promotion cannot be used in conjunction with any other coupon code or promotion. No coupon code required! 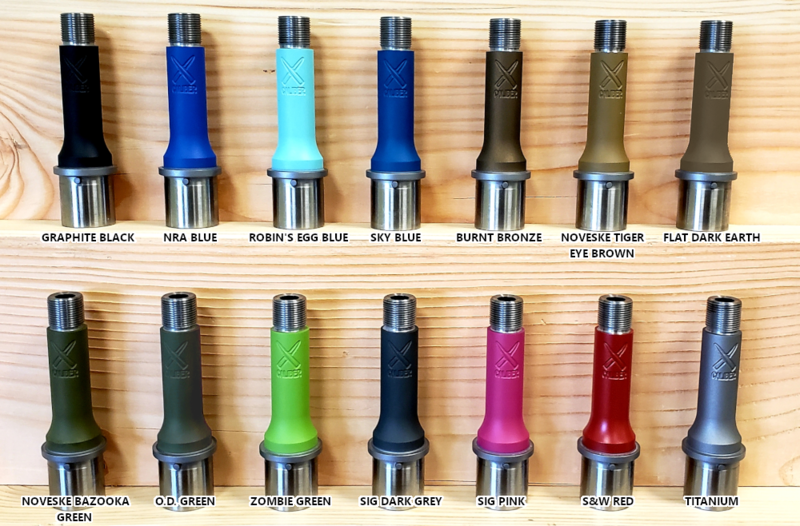 Prices have been removed for all Cerakote options on the affected custom barrels. Get in on this promotion now! Check here for AR15, AR10 or custom Prefit bolt-action barrels with FREE Cerakote---Limited time only! 30% off all In-Stock Barrels. Use coupon code instock. Order now, limited time. Does not include clearance barrels, accessories, muzzle breaks or B.A.R.T. Tools. Copyright © 2019 X-Caliber Barrel & Manufacturing. All rights reserved.